Campobello, S.C.—The Heirloom Companies was recognized for its craftsmanship at the 2017 Bridge Awards through the Home Builders Association of Greenville on Thursday, March 30 in Greenville, South Carolina. The company was awarded with the Special Feature Award for Best Staircase and the company’s Head of Operations, Ben Moseley, was awarded the President’s Citation Award. 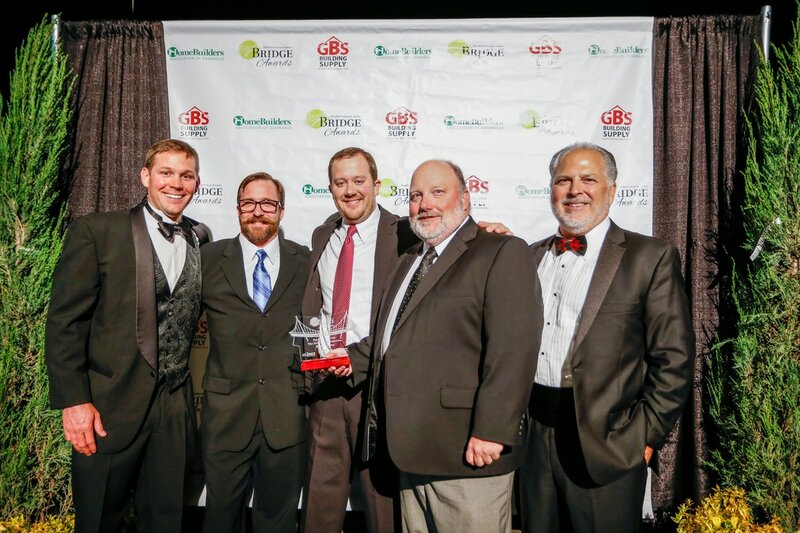 The Bridge Awards presented The Heirloom Companies with the Special Feature Award for Best Staircase for its custom-designed staircase in a Cliffs community residence, built by Dillard-Jones Builders. Moseley was awarded the President’s Citation award for his outstanding service as a board member on the Greenville Home Builders Association and as the organization’s Home and Garden Show committee chairman. 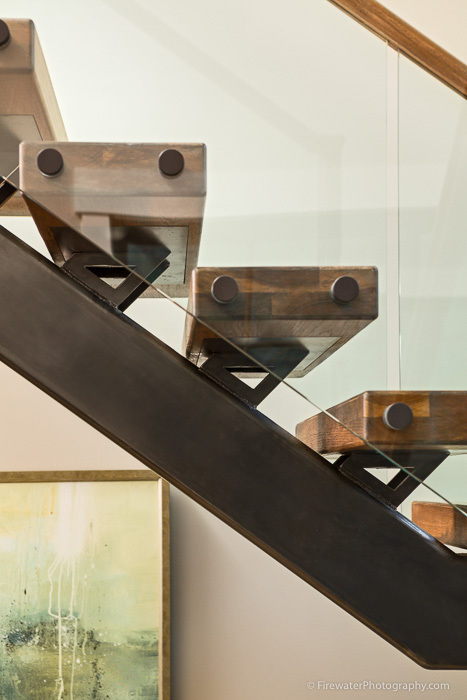 The Heirloom Companies custom staircase, with its glass railing and open design, its thick wooden treads appear to float in space, despite the construction of its steel monostringer architecture. Inspired by The Cliffs communities’ style transition from rustic to modern, the design incorporates warm, wooden treads and a handrail with clean, modern glass panels lines and steel structural components. The Presidential Citation Award is given at the discretion of the current President of the Home Builders Association of Greenville. The recipient of the Presidential Citation Award must demonstrate an extraordinary level of dedication to the organization and Greenville’s overall building and development communities. Founded in 1994, The Heirloom Companies is the premier wood and ironworks manufacturer in the eastern United States, producing award-winning custom stairways, railings, balconies, furniture, fixtures and decorative pieces through a process blending old-world craftsmanship with new-age technology. Learn more at www.theheirloomcompanies.com and or by following The Heirloom Companies on Houzz, Instagram, Facebook and LinkedIn. This entry was posted in Awards, Custom Work, Iron Works, James Moseley Design, Railing, Stairs. Bookmark the permalink.